If you have swelling, persistent pain, catching, giving way, and loss of confidence in your Knee and conservative measures such as regular use of medications, Knee supports, and physical therapy, have provided minimal or no improvement, you may benefit from Knee Arthroscopy. 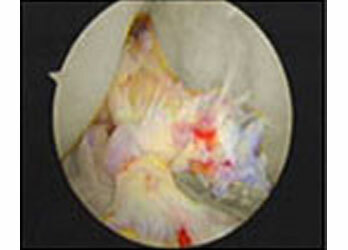 Conditions which can be diagnosed and treated by Knee Arthroscopy. There are two menisci in the Knee (Medial & Lateral), which act like gasket to distribute weight from femur to tibia. They in turn also protect the Articular Cartilage. 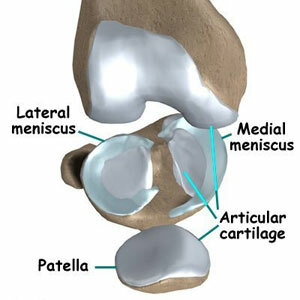 Tear in the meniscus can lead to pain, swelling, locking. 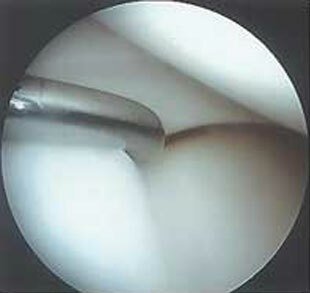 Long term effects of torn meniscus due to constant rubbing on Articular Cartilage can lead to Osteoarthritis. 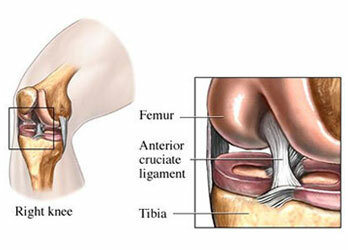 Anterior Cruciate Ligament: Provides Anterior Stability to Knee Joint. Posterior Cruciate Ligament: Provides Posterior Stability to Knee Joint. 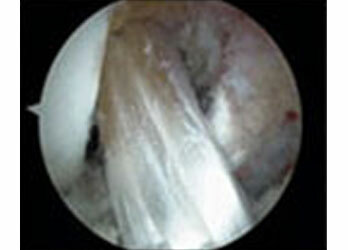 Tear in ACL and or PCL can lead to pain, swelling, and instability of Knee Joint. Due to the tear a feeling of give way occurs whilst changing direction. 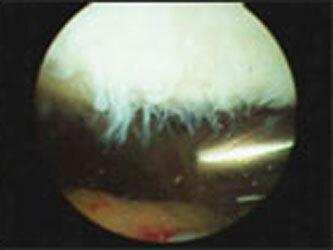 A tendinous graft is harvested from semitendinosus muscle and or gracilis muscle and is replaced in place of original cruciate. The common Patellofemoral issues are problems due to maltracking, malalignment, Chondromalacia Patella & osteoarthritis of Patellofemoral Joint. 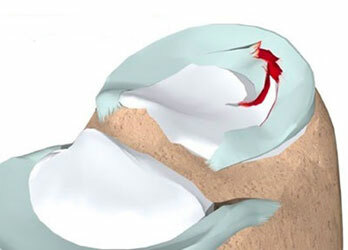 Symptoms are those of feeling of patella slipping away, pain and swelling. Chondromalacia, maltracking due to soft tissue imbalance and many other Patellofemoral issues can be dealt with by Knee Arthroscopy. The normal Knee Joint is surrounded by a membrane (the Synovium) which produces a small amount of thick fluid (Synovial Fluid). The synovial fluid helps to nourish the cartilage and keeps it slippery. 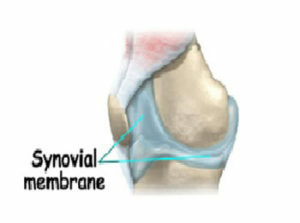 The Synovium also has a tough outer layer (the joint capsule) which protects & supports the joint. Inflammation of the Synovium is called Synovitis. This may occur due to rheumatoid arthritis, infections, trauma or injury, autoimmune. Symptoms are swelling, pain and stiffness. Synovial Biopsy and medical management or subtotal Synovectomy. The ends of the long bones are covered with a smooth white glistening surface called the Articular Cartilage. The Articular Cartilage helps in joint motion by lubrication and by preventing friction. Traumatic events can damage Cartilage, and as we age, the biology of the Cartilage changes, predisposing it to wear and injury. 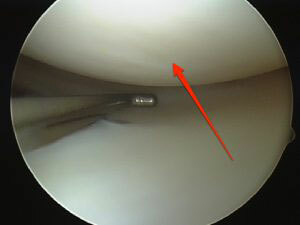 Loose cartilage flaps and debris within the Knee are removed using an Arthroscopic shaver or a radiofrequency ablator. 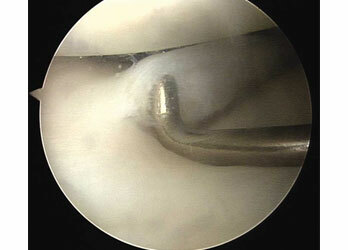 Small focal lesions can be treated with Mosaicplasty In which cylinder pegs of Osteochondral Grafts are taken from non-weight-bearing portions of the Knee and transferred to the cartilage defects in the weight -bearing portion. This is a two-stage procedure. 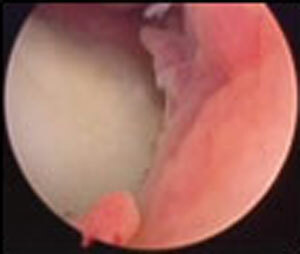 The first stage involves Arthroscopic Biopsy of normal cartilage from non-weight-bearing area of Knee Joint. 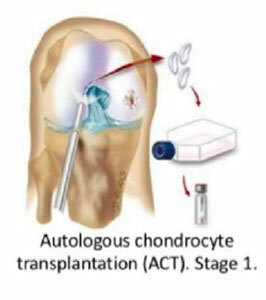 The biopsy is then sent to cartilage expansion laboratory where the cells are cultured and multiplied. It takes about 6 weeks for the multiplication of cells. 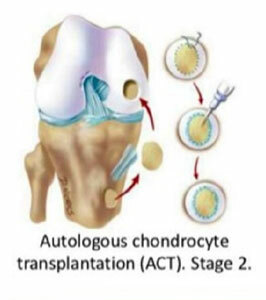 The second stage involves the implantation of these cartilage cells in the damaged area. This is done by an open procedure.